Huge Savings! 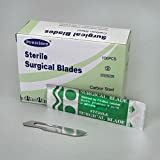 Up to 19% off on Scalpel Blades at Medical Service. 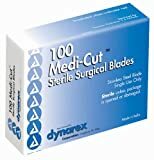 Top brands include Quality Spa Supplies Blade Remover, Myco Medical, McKesson, DDP, BesQual, ODONTOMED, Personna Southmedic, Dynarex, USA, Medline, Carolina Biological Supply Company, GF Health, Electron Microscopy Sciences, C and A Scientific, The Graham-Field/Everest &Jennings Incorporated, & Scapel-Blades-&-Disp-Scalpels. Hurry! Limited time offers. Offers valid only while supplies last. 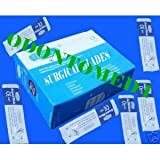 73-0415 PT# 73-0415- Blade Scalpel PT# 15 Personna Plus SS Sterile Disposable 50/Bx by, American Safety Razor Co.
73-0410 PT# 73-0410- Blade Scalpel PT# 10 Personna Plus SS Sterile Disposable 50/Bx by, American Safety Razor Co.